Rich source of dietary fiber helps to detoxify and remove toxins from the body. Powerful antioxidants helps increase body’s self healing properties. Elimination of waste material helps to purify the liver. 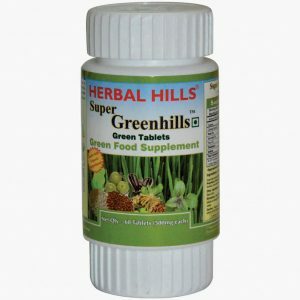 Buy online Herbal Hills Super Green Food Supplement – Barley Grass (Hordeum vulgare) 60 tablets a nutritional powerhouse rich in vitamins, folic acid, and B12, calcium, iron, magnesium, carotenes, amino acids, potassium, and chlorophyll that act synergistically together optimizing bodily functions. 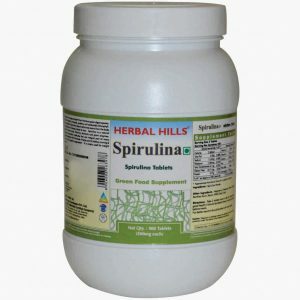 The chlorophyll in Barley grass helps to detoxify the body Barley grass can be easily absorbed throughout the digestive tract, giving our body access to vital nutrients. The vitamins, minerals and enzymes act as a powerful antioxidants which help protect the body. Barley grass is a rich source of dietary fiber which is good for colon health. The nutrient rich Barley grass is packed with energy.